If you have a sunny, dry spot in your garden where most plants don’t do well because it is too hot, consider growing Gazanias there. Or so they say. 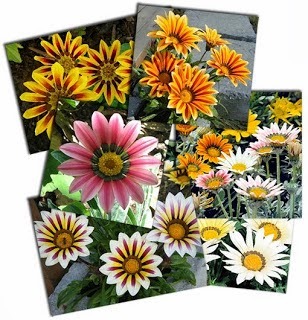 Unfortunately I have never had much luck with Gazanias, to my utmost chagrin! All my conditions seem to be right - LOTS of sun, also available part-shade, they need little in the way of watering or fertilising and are said to be pest-free. 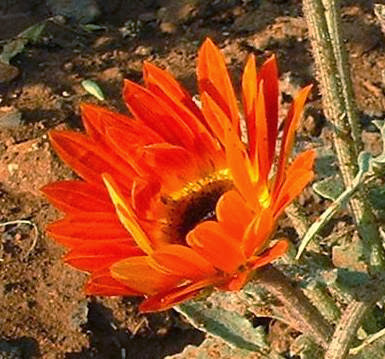 This genus of 16 species of annual and perennial daisies in the family Asteraceae hails mostly from South Africa, with one species extending the range to the tropics. They feature lovely showy flowers, which are large and brightly colored, and in favorable climates they can be relied upon to flower over a long period — in the southern Hemisphere from August till January reaching a peak in October and November. 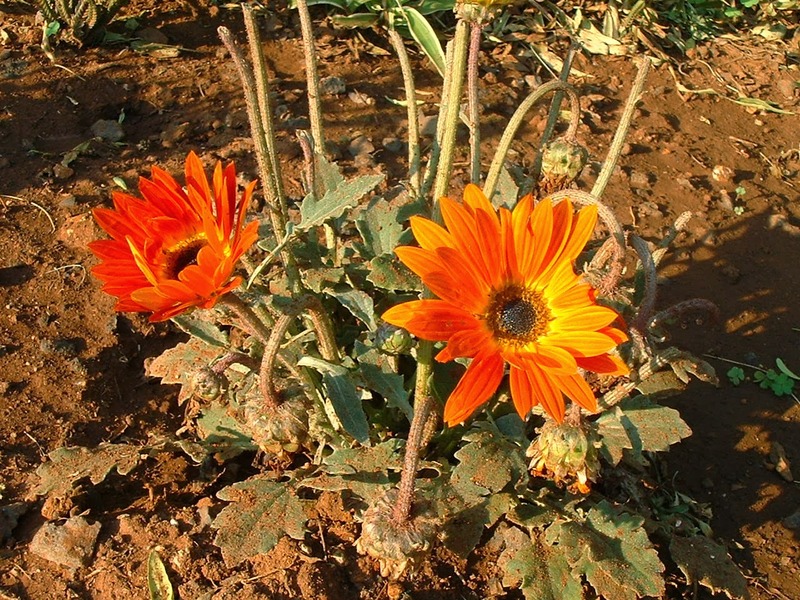 The species usually produce yellow or orange flowers, but the plants seen in cultivation are mainly hybrids and there are countless colour forms and seedling strains. The Gazania flower grows easily in full sun, but can also do well in part-shade so long as they see a majority of sun during the day. Caring for these plants is very easy as they require very little in the way of watering or fertilising and they don't attract many pests. They are one of the ultimate waterwise plants and they flower prolifically. The plants are relatively short-lived, up to about three years depending on various conditions. Gazania is pollinated by a number of insects: bees, bee flies, beetles, butterflies and ants, have all been seen visiting its bright flowers. This is another reason why they are able to thrive in most environments (except here in Tarlton it seems! ), as they do not have any specific pollinators.